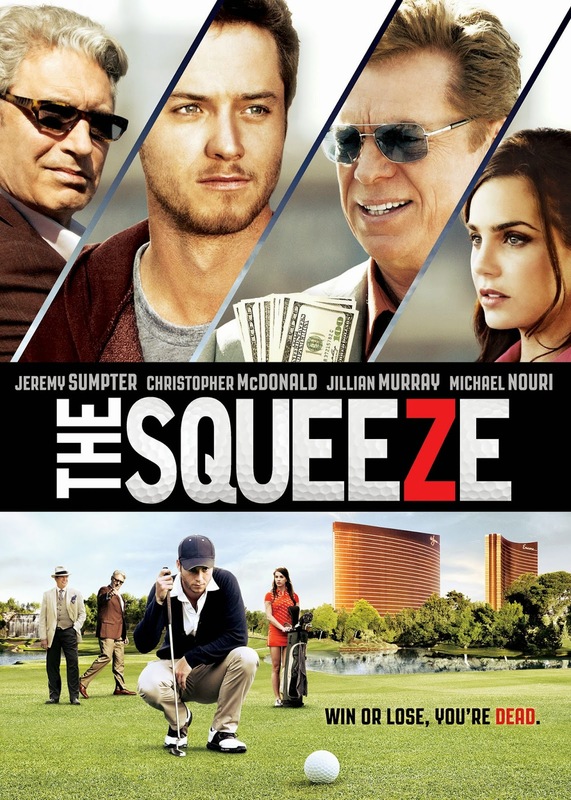 "The Squeeze" is plain and simple a fun golf movie. From one of the first scenes where "Augie" played by Jeremy Sumpter and his girlfriend, Natalie and best friend John Tom set out on a morning of cross country golf where some young poolside spectators beckon, "I love golf". The movie has you hooked from there. Most golfers and non-golfers are going to love this film. Jeremy Sumpter is great as the likable "Augie" with "jaw dropping talent" out on the links. Augie is an easy target for Riverboat and the lure of money it's easy for Augie to say yes to "just playing golf". Why he's doing it, well for his Mom and sister of course and a better life(won't mention the spoiler about the sister, better to see the movie). At times the movie is predictable but that's okay the director knows how to film a golf movie with great shots of some of the best courses in and nearby the Wilmington, North Carolina area including Beau Rivage Golf Club & Resort, Wilmington Municipal G.C. and Eagle Point Golf Club. I know I want to go back to this area again and golf after seeing the movie. The movie did a great job at casting the lead role "Augie" with Jeremy Sumpter. When Augie makes a side bet that he can put the ball on the green with "this here putter". You just know he's going to make that shot with his ever trusty Scotty Cameron putter. The villains, Riverboat played by Christopher McDonald and Jimmy Diamonds played by Michael Nouri are perfect to lure Augie to the dark side. You're cheering for Augie to come out on top because the good guy wins all the time, right? You're going to have to watch the movie to find out. Tom Roy, Senior Producer Golf, NBC Sports: "THE SQUEEZE is fabulously shot and edited. It's the first golf movie ever that depicts the game authentically. The actors have tour-quality games which make us believe the narrative, which by the way has lots of twists and turns. Finally, a thoroughly enjoyable golf-themed drama!" Greg Maddux, Hall of Fame Baseball Player: "I had almost as much fun watching THE SQUEEZE as I did winning the World Series! The movie is based on the true story of a buddy I've played golf with for decades. So great to see his incredible story turned into a movie. See it, you'll like it!"